The aim of this work was to compare the glucose-lowering efficacy of dipeptidyl peptidase-4 (DPP-4) inhibitors between Asian and non-Asian patients with type 2 diabetes. We searched MEDLINE, EMBASE, LILACS, CENTRAL, ClinicalTrials.gov and conference proceedings. Studies were eligible if they were randomised controlled trials with a treatment duration of at least 12 weeks, compared a DPP-4 inhibitor with a placebo as either monotherapy or oral combination therapy, had information on ethnicity and HbA1c values and were published or described in English. A systematic review and meta-analysis with a meta-regression analysis was conducted. Among 809 potentially relevant studies, 55 trials were included. A meta-analysis revealed that DPP-4 inhibitors lowered HbA1c to a greater extent in studies with ≥50% Asian participants (weighted mean difference [WMD] −0.92%; 95% CI −1.03, −0.82) than in studies with <50% Asian participants (WMD −0.65%; 95% CI −0.69, −0.60). The between-group difference was −0.26% (95% CI −0.36, −0.17, p < 0.001). The baseline BMI significantly correlated with the HbA1c-lowering efficacy of DPP-4 inhibitors. The RR of achieving the goal of HbA1c <7.0% (53.0 mmol/mol) was higher in studies with ≥50% Asian participants (3.4 [95% CI 2.6, 4.7] vs 1.9 [95% CI 1.8, 2.0]). The fasting plasma glucose-lowering efficacy was higher with monotherapy in the Asian-dominant studies, but the postprandial glucose-lowering efficacy and changes in body weight were comparable between the two groups. DPP-4 inhibitors exhibit a better glucose-lowering efficacy in Asians than in other ethnic groups; this requires further investigation to understand the underlying mechanism, particularly in relation to BMI. The online version of this article (doi: 10.1007/s00125-012-2827-3) contains peer-reviewed but unedited supplementary material, which is available to authorised users. Y. G. Kim and S. Hahn contributed equally to this study. The pathophysiology of type 2 diabetes includes both insulin resistance and decreased insulin secretion. The contribution of these components is within a spectrum ranging from predominant insulin resistance to a predominant insulin secretory defect . There is a growing body of evidence that the pathophysiology of type 2 diabetes differs by ethnic group [2, 3, 4]. Comparing Asian and white patients with type 2 diabetes, Asian patients are characterised by a relatively lower BMI , higher amounts of visceral fat with a given BMI or waist circumference [5, 6] and a predominant insulin secretory defect [7, 8, 9]. In patients with type 2 diabetes, the insulin secretory defect is more prominent in Asian than in white individuals [7, 10, 11]. The reasons for decreased insulin secretion in Asian patients with type 2 diabetes are yet to be determined but may be explained by lower beta cell mass, impaired beta cell function and genetic differences [2, 3, 4]. Incretin hormones are secreted after a meal to increase glucose-dependent insulin secretion [12, 13]. The incretin effect explains approximately 50–70% of insulin secretion after an oral glucose load in healthy individuals but secretion is markedly reduced (approximately 10–30%) in patients with type 2 diabetes [14, 15, 16]. To date, two incretin hormones have been identified: glucagon-like peptide-1 (GLP-1) and glucose-dependent insulinotropic polypeptide (GIP) [12, 13]. GLP-1 and GIP are readily degraded into inactive metabolites by dipeptidyl peptidase-4 (DPP-4), resulting in very short half-lives in the circulation [12, 13]. The clinical use of DPP-4 inhibitors, which increase the concentration of the active forms of GLP-1 and GIP, is becoming increasingly popular. Given the contribution of the insulin secretory defect and insulin resistance to differences in the pathophysiology of type 2 diabetes between Asians and non-Asians, the glucose-lowering efficacy of DPP-4 inhibitors should differ by ethnic group. Thus, we performed a systematic review and meta-analysis on the glucose-lowering efficacy of DPP-4 inhibitors in Asians and non-Asians and conducted meta-regression analyses to identify factors contributing to the difference between the two groups. The conduct and results of the study are reported in accordance with the PRISMA statement . A systematic search was performed to identify potentially relevant studies in the MEDLINE, EMBASE, CENTRAL, LILACS and ClinicalTrials.gov databases up to February 2012. In addition, the electronically searchable abstracts from the scientific conferences of the ADA from 2004 to 2011 and the EASD from 2008 to 2011 were examined. Search terms used in this study are presented in electronic supplementary material (ESM) Methods. Studies were eligible for inclusion if they met the following criteria: (1) randomised controlled trials comparing a DPP-4 inhibitor with a placebo as either monotherapy or combination therapy with other oral glucose-lowering drugs in patients with type 2 diabetes; (2) a treatment duration of at least 12 weeks; (3) information on the ethnicity of the study participants; (4) information on HbA1c values and (5) studies published or described in English. Eligibility was assessed independently by two authors (Y. G. Kim and T. J. Oh) and any disagreements were resolved by consensus. Studies were excluded if the change in the HbA1c value from the baseline to the end of follow-up in each treatment and control group was unavailable. Duplicate studies and extended studies from original studies were excluded. Studies performed in individuals with renal or hepatic dysfunction were excluded. Data extraction was independently conducted by two authors (Y. G. Kim and T. J. Oh). Any disagreements were resolved by consensus with other authors (S. Hahn and Y. M. Cho). The following data were extracted from the eligible studies: name of the first author, year of publication, country where the study was conducted, treatment regimen, number of participants, duration of diabetes, age, percentage of Asians, percentage of men, baseline HbA1c values and baseline BMI. For dose-range studies, only data arising from currently approved doses were extracted. In the absence of such data, the data for equivalent amounts of daily doses were used. If no approved dose was used, data for a dose having a maximal HbA1c-lowering efficacy were extracted. If a study had two or three comparisons (one monotherapy arm and one or two combination therapy arms) [18, 19], each comparison was treated separately. When there was a comparison for different administration times in a day (morning vs evening) , the data for a morning dose were used. Some data not available in the original papers were extracted supplementarily using information from a full report available at a trial registry, ClinicalTrials.gov [18, 19, 21, 22, 23, 24, 25, 26, 27, 28, 29, 30, 31, 32, 33, 34, 35, 36, 37, 38, 39, 40, 41, 42, 43, 44, 45, 46, 47, 48, 49, 50, 51, 52, 53, 54, 55, 56, 57, 58, 59, 60, 61]. With regard to the ethnicity information, we followed the classification of ‘Asian’ used by the authors of each study. If a study did not disclose ethnic information but was conducted in Asian countries with a relatively homogeneous population (e.g. Korea, China, Japan and Taiwan), we assumed the study participants were Asian. We used the Cochrane Collaboration’s tool  to assess the risk of bias in adequacy of sequence generation, allocation concealment, type of blinding of participants and personnel, incomplete outcome data, selective outcome reporting and other biases. A detailed description is available in ESM Methods. To assess publication bias, we used a funnel plot and Egger’s test. The primary outcome of this meta-analysis was the HbA1c-lowering efficacy of DPP-4 inhibitors at the end of the study. Secondary outcomes were the effect of DPP-4 inhibitors on fasting plasma glucose (FPG), 2 h postprandial glucose (PPG) following a 75 g glucose load or a standard meal, body weight and achievement of the HbA1c <7.0% (53.0 mmol/mol) goal in the randomised patients. In each study, for outcomes measured on a continuous scale, a weighted mean difference (WMD) in the mean change of the outcome from the baseline to the end of the study between the treatment and the comparison groups was calculated with a 95% CI. An RR was calculated with a 95% CI for a dichotomised outcome. The pooled effect was estimated using a random-effects model. The I 2 statistic and the χ 2 test were used to evaluate the statistical heterogeneity. We conducted meta-regression analyses to test the subgroup differences between ethnic groups and to investigate the sources of the differences by considering some pre-specified covariates: age, percentage of men, percentage of Asian persons, BMI, duration of treatment, duration of diabetes and baseline HbA1c level. When a correlation coefficient was considered between particular variables, the coefficient was derived from the determinant coefficient obtained from the corresponding meta-regression analysis. According to the treatment regimen, the eligible studies were categorised into a ‘monotherapy’ or an ‘oral combination therapy’ group. If the percentage of Asian participants was larger than or equal to 50% in a study, we categorised the study as an Asian-dominant study. Studies were additionally divided into high-BMI groups (BMI ≥30 kg/m2) and low-BMI groups (BMI <30 kg/m2). All analyses were performed using the Stata statistical package (version 12; Stata Corp, College Station, TX, USA). Of the 702 references identified from the four databases, 383 duplicates were eliminated. Of the remaining 319 potentially relevant articles, 259 were excluded after reviewing the titles and abstracts. The full texts of 60 articles were reviewed, and 51 articles were included in the analysis. Of the 107 potentially relevant clinical trials additionally identified from ClinicalTrials.gov (www.clinicaltrials.gov, accessed 8 February 2012), four studies were included in the analysis. Detailed reasons for exclusion are shown in Fig. 1. There were no eligible studies in the ADA or EASD abstracts. We retrieved a total of 55 studies reporting 58 comparison pairs that met the selection criteria for a total of 18,328 study participants (10,270 randomised to treatment group and 8,058 randomised to the comparison group). The doses of DPP-4 inhibitors analysed in this study and a summary of the included studies are shown in Table 1. Fifty-four of the 55 included studies achieved a double blindness for the participants and the personnel. For the incomplete outcome data, 49 studies were categorised as low risk, one as unclear and five as high risk. The sequence generation was unclear in 30 studies, and allocation concealment was unclear in approximately 80% of the studies. There was no particular indication for selective reporting from any included studies and 88% (51 of 58) were at low risk for other biases (ESM Table 1, ESM Fig. 1). The Egger’s test and a funnel plot suggested that there was no asymmetric pattern, and no particular concern regarding a publication bias was given to the analyses in the current study (ESM Fig. 2). A pooling of HbA1c data was performed for 57 pairs from 54 of the 55 studies. One study  was excluded because the SD was not available in an adequate form. The WMDs in the changes of HbA1c from the baseline value are depicted in ESM Fig. 3. Overall, the difference between the treatment group and comparison group was −0.72% (95% CI −0.77, −0.67; I 2 = 67.6%) (Fig. 2a). There was no difference in HbA1c-lowering efficacy among different DPP-4 inhibitors (data not shown). We conducted a subgroup analysis by the percentage of Asian participants. The median (range) duration of diabetes was 6.3 (2.0–13.7) and 4.5 (1.4–9.9) years in the Asian-dominant and non-Asian-dominant studies, respectively. The median (range) baseline HbA1c was 7.9 (7.4–9.7)% (62.8 [57.4–82.5] mmol/mol) and 8.3 (7.7–9.9)% (67.2 [60.7–84.7] mmol/mol) in the Asian-dominant and non-Asian-dominant studies, respectively. In studies with <50% Asian participants (non-Asian-dominant studies, n = 41), HbA1c changed by −0.65% (95% CI −0.69, −0.60; I 2 = 35.4%), while in studies with ≥50% Asian participants (Asian-dominant studies, n = 13), HbA1c changed by −0. 92% (95% CI −1.03, −0.82; I 2 = 74.8%). The difference between the two groups was −0.26% (95% CI −0.36, −0.17), which was statistically significant (p < 0.001), suggesting that the HbA1c-lowering efficacy of DPP-4 inhibitors was higher in the Asian-dominant studies than in the non-Asian-dominant studies. In the monotherapy trials, the overall difference in HbA1c change from baseline between the treatment group and comparison group was −0.74% (95% CI −0.84, −0.64; I 2 = 73.9%) (Fig. 2a). HbA1c changed by −0.64% (95% CI −0.70, −0.57; I 2 = 13.8%) in the non-Asian-dominant studies whereas it changed by −1.01% (95% CI −1.14, −0.88; I 2 = 58.3%) in the Asian-dominant studies. The difference between the two groups was −0.38% (95% CI −0.52, −0.23), which was statistically significant (p < 0.001). In trials with oral combination therapy, the overall difference of HbA1c change from the baseline between treatment group and comparison group was −0.70% (95% CI −0.76, −0.65; I 2 = 61.2%). HbA1c changed by −0.66% (95% CI −0.71, −0.60; I 2 = 44.3%) in the non-Asian-dominant studies whereas it changed by −0.85% (95% CI −0.97, −0.72; I 2 = 72.3%) in the Asian-dominant studies. The difference between the two groups was −0.18% (95% CI −0.31, −0.05), which was statistically significant (p = 0.006). The HbA1c-lowering efficacy exhibited no difference whether a DPP-4 inhibitor was added on top of metformin (WMD −0.68% [95% CI −0.77, −0.60]; I 2 = 61.0%) or sulfonylurea (WMD −0.68% [95% CI −0.90, −0.47]; I 2 = 74.6%). The univariate meta-regression analyses (Fig. 3a, c; ESM Fig. 4) revealed that the percentage of Asian participants (p < 0.001), BMI (p < 0.001), age (p = 0.006), percentage of men (p = 0.027), duration of disease (p = 0.005) and duration of treatment (p = 0.013) were significantly correlated with the change in HbA1c from baseline. Interestingly, the percentage of Asian participants was negatively correlated with average BMI (r = −0.95) (Fig. 3b). As the percentage of Asian participants increased or the BMI decreased, the change in HbA1c became larger. The BMI distribution of the Asian-dominant studies ranged from 23.8 to 28.4 kg/m2 and that of the non-Asian-dominant studies ranged from 28.3 to 33.3 kg/m2. Therefore, BMI could be a confounding factor in the apparent relationship between the percentage of Asian participants and the HbA1c-lowering efficacy of the DPP-4 inhibitors. The percentage of Asian participants was independently associated with the change in HbA1c from baseline, even in a multiple meta-regression analysis adjusted for treatment duration, percentage of men, duration of diabetes, age and baseline HbA1c level (ESM Table 2). However, the relationship between the percentage of Asians and the change in HbA1c from baseline was no longer significant after adjusting for BMI (p = 0.491, ESM Table 2), which may be the result of the statistical multicollinearity. The correlation between BMI and HbA1c-lowering efficacy was dependent upon the study populations. In Asian-dominant studies there was a clear correlation between BMI and the HbA1c-lowering effect, but in non-Asian-dominant studies there was no such correlation (ESM Table 2). Similarly, there was no correlation between BMI and the HbA1c-lowering efficacy of the DPP-4 inhibitors in the studies in which the average BMI was ≥30 kg/m2, but BMI was significantly correlated with the HbA1c-lowering efficacy of the DPP-4 inhibitors in the studies in which the average BMI was <30 kg/m2 (Fig. 3d). In addition to the meta-regression analysis, to further resolve the issues associated with heterogeneity and the arbitrary cutoff of the proportion of Asians for Asian-dominance, we classified the included studies into three groups according to the proportion of the Asians participants: low Asian zone (Asian ≤20%), intermediate Asian zone (<20% Asian ≤80%) and high Asian zone (Asian >80%) (ESM Table 3). Consequently, we could reduce the heterogeneity of three zones compared with that of the binary classification (Asian-dominant vs non-Asian-dominant). The difference in HbA1c-lowering efficacy between the high Asian zone and the low Asian zone was −0.29% (95% CI −0.39, −0.19), which was statistically significant (p < 0.001). The changes in FPG from baseline are shown in Fig. 2b. We analysed 52 pairs from 49 studies involving FPG. Overall, FPG changed from baseline by −1.08 mmol/l (95% CI −1.18, −0.98; I 2 = 52.1%). The change in FPG from baseline was −1.03 mmol/l (95% CI −1.14, −0.92; I 2 = 40.3%) in the non-Asian-dominant studies and −1.23 mmol/l (95% CI −1.47, −1.00; I 2 = 70.9%) in the Asian-dominant studies. In the monotherapy trials, the overall decrease in FPG was significantly larger in the Asian-dominant studies than in non-Asian-dominant studies; the difference between the two groups was −0.45 mmol/l (95% CI −0.79, −0.10). However, in oral combination therapy trials, there was no difference in the change in FPG from baseline between the two groups. The changes in 2 h PPG from baseline are shown in Fig. 2c. We analysed 25 pairs from 22 studies involving PPG. Overall 2 h PPG change from baseline was −2.60 mmol/l (95% CI −2.83, −2.37; I 2 = 38.1%). The change was −2.86 mmol/l (95% CI −3.36, −2.36; I 2 = 65.6%) in the Asian-dominant studies and −2.45 mmol/l (95% CI −2.68, −2.22; I 2 = 0.0%) in the non-Asian-dominant studies. Although the mean value of the decrease in 2 h PPG was numerically larger in the Asian-dominant studies, the difference was not statistically significant. A similar trend was observed in both the monotherapy and oral combination therapy trials. Thirty-one pairs from 28 studies were used to estimate the RR for achieving HbA1c <7.0% (53.0 mmol/mol). The RR was significantly larger in the Asian-dominant studies than in the non-Asian-dominant studies (3.4 [95% CI 2.6, 4.7] vs 1.9 [95% CI 1.8, 2.0]) (ESM Fig. 5). Thirty pairs from 29 studies were used for the analysis on body weight. Overall body weight change from baseline was 0.52 kg (95% CI 0.37, 0.67; I 2 = 47.4%). There was no significant difference in body weight change between the Asian-dominant studies and the non-Asian-dominant studies (ESM Fig. 6). In this systematic review and meta-analysis, the HbA1c-lowering efficacy of DPP-4 inhibitors in type 2 diabetes was higher in Asians than in other ethnic groups. Differences in BMI across ethnic groups may mediate the HbA1c-lowering efficacy of DPP-4 inhibitors. In the current meta-analysis, there was no correlation between the BMI and the HbA1c-lowering efficacy of DPP-4 inhibitors in the studies in which the average BMI was ≥30 kg/m2, but BMI was significantly correlated with the HbA1c-lowering efficacy of DPP-4 inhibitors in the studies in which the average BMI was <30 kg/m2. There was no difference in body weight change from baseline between the Asian- and the non-Asian-dominant studies, which suggests that the baseline BMI might influence the glucose-lowering effect of DPP-4 inhibitors. In fact, a Japanese study revealed a significant correlation (r = 0.419, p = 0.0023) between baseline BMI and HbA1c levels after 16 weeks of sitagliptin treatment in patients with type 2 diabetes and a BMI of 24.1 ± 5.0 kg/m2 , which suggests that a lower BMI is a predictor of a good response to a DPP-4 inhibitor. Collectively, the different BMIs among ethnic groups may contribute to the differences in the glucose-lowering response to DPP-4 inhibitors. Because BMI is highly correlated with insulin sensitivity , the apparent effect of BMI on the HbA1c-lowering efficacy observed in our study may be mediated by differences in insulin sensitivity among different ethnic groups. However, factors other than BMI may influence the insulin sensitivity of different ethnic groups. In a study examining 531 first-degree relatives of individuals with type 2 diabetes in the USA , Asian–Americans with a normal glucose tolerance or impaired glucose regulation were more insulin-sensitive than all other ethnic groups, including African–Americans, Hispanic–Americans and persons of European descent. These findings remained significant even after adjusting for the effect of BMI. Although clinical variables reflecting insulin sensitivity, such as direct or indirect indices for insulin sensitivity or amount of visceral fat, were not available in this analysis, those variables could provide a missing link between ethnicity and treatment response to DPP-4 inhibitors. If the pharmacokinetic properties of DPP-4 inhibitors differ between Asians and non-Asians largely because of differences in body size, the glucose-lowering efficacy of DPP-4 inhibitors may differ by ethnic group. However, the clinical pharmacological characteristics of several DPP-4 inhibitors are similar in different ethnic groups [66, 67]. The pharmacokinetic variables of sitagliptin are reported not to be different among whites, blacks, Hispanics and Asians . In a study involving 60 healthy Chinese participants, vildagliptin had pharmacokinetic variables that were similar to non-Asians . Therefore, we cannot explain the better glucose-lowering efficacy of DPP-4 inhibitors in Asians by different pharmacokinetic properties. 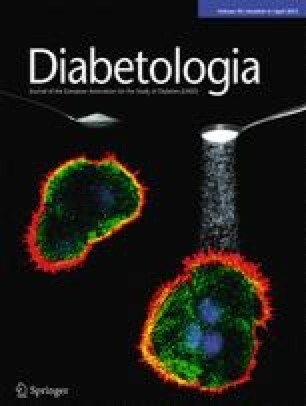 According to the Diabetes Epidemiology: Collaborative Analysis of Diagnostic Criteria in Asia (DECODA)  and the Diabetes Epidemiology: Collaborative Analysis of Diagnostic Criteria in Europe (DECODE)  studies, the prevalence of post-challenge hyperglycaemia is higher in Asian than in white persons. In the DECODA study, more than half the patients with diabetes had isolated postprandial hyperglycaemia , which is additionally a powerful predictor of cardiovascular disease and premature death . DPP-4 inhibitors are known to reduce both FPG and PPG . In particular, DPP-4 inhibitors effectively lower PPG by increasing active GLP-1 and decreasing glucagon levels . We examined whether the efficacy of DPP-4 inhibitors in lowering FPG or PPG differs between Asian- and non-Asian-dominant studies. The FPG-lowering efficacy with DPP-4 inhibitor monotherapy was higher in the Asian-dominant studies than in the non-Asian-dominant studies, while the PPG-lowering efficacy was not significantly different between two groups. Because the number of studies reporting FPG or PPG from baseline was relatively smaller and the PPG values were measured with either a 75 g glucose load or a standardised meal, further studies are needed to examine the difference in FPG- or PPG-lowering efficacy of DPP-4 inhibitors among different ethnic groups. There was no effect of baseline HbA1c on the efficacy of DPP-4 inhibitors in our analysis. However, Deacon suggested that a higher baseline HbA1c would be a predictor of a greater HbA1c reduction with a DPP-4 inhibitor . Approximately 70% of the studies reviewed in Deacon’s paper were also included in our study. However, the analytical methods were different. The values presented by Deacon were delta HbA1c simply in the DPP-4 inhibitor group rather than the change in the delta HbA1c between the placebo and the DPP-4 inhibitor group. If we plot our data in the same way as Deacon, the graph looks similar (data not shown). Therefore, at least in our analysis, the contribution of BMI or Asian proportion outweighs the effect of baseline HbA1c in determining the placebo-subtracted HbA1c-lowering effect. There are some limitations to this study. First, we did not separate the studies including South Asians (e.g. Indians) from the studies mainly comprised of East Asians. Asian populations are ethnically heterogeneous and have different demographic, cultural and socioeconomic characteristics. Insulin resistance may be the major contributor to the pathogenesis of type 2 diabetes in South Asian populations  but not East Asian populations. Second, because the analysis was based only on aggregated information at the study level and was exploratory in nature, additional studies are needed to explain the mechanisms for the different effect by ethnicity. Although DPP-4 inhibitors showed an overall significant treatment effect in a meta-analysis of the current literature, there was substantial heterogeneity in terms of the size of the effect among the studies, whose clinical characteristics additionally differ. To confirm our observation, a patient-level data analysis or a prospective randomised study including different ethnic groups should be performed. In conclusion, the glucose-lowering efficacy of DPP-4 inhibitors is higher in Asians than other ethnic groups. Different BMIs may contribute to this difference in treatment response to DPP-4 inhibitors. Considering that Asia is the epicentre of the current worldwide epidemic of diabetes , this study suggests the need for ethnic-specific guidelines for the pharmacological treatment of diabetes. This study received no financial support from any type of foundation or company. Y. M. Cho received a lecture fee or consultation fee from MSD, Lilly, Novartis, Astra-Zeneca and Boehringer-Ingelheim. YGK, SH and YMC developed the protocol and were responsible for the study design, main concept and statistical analysis. YGK and TJO were responsible for the study selection and data extraction. SH and YMC additionally contributed to data extraction. YGK, SH, SHK, KSP and YMC were contributors to the result interpretation. All authors wrote the initial draft and revised the paper for important intellectual content. All authors were contributors to the final manuscript and have approved the final version.